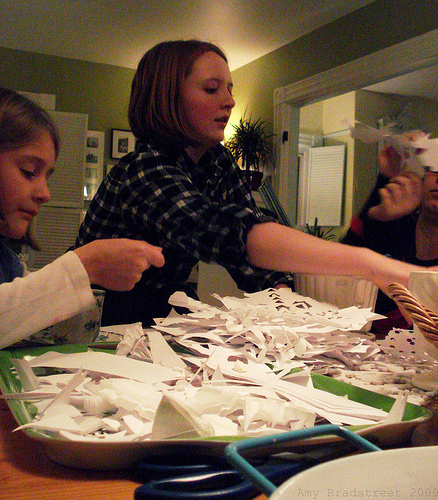 For nearly nine years now, we've had the tradition of having some sort of Snowflake Party following Thanksgiving. 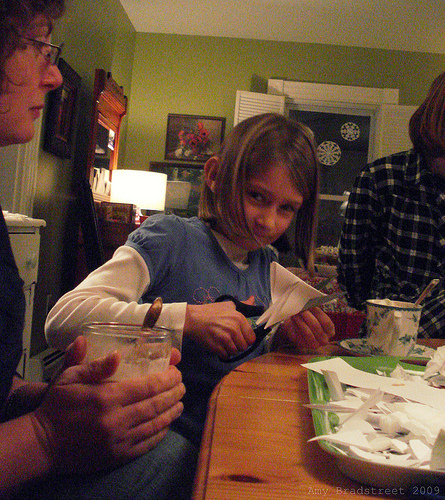 Some years it's been a simple affair of cutting snowflakes with one other family over copious mugs of cocoa, the floor soon covered in little bits of paper snow. There's a Pagan legend that tells of Demeter's sorrow when her daughter Persephone is taken into the Underworld. Demeter, in grief, allows winter to reign over the land and her tears for her daughter form snowflakes. Snowflakes, with their magical six sides (six being the number associated with affection and creation) became winter symbols of love for Pagans. I think of this story every time I cut and hang a snowflake in our home, so much so that it has become a ritual and blessing that begins the Yuletide for us. This year we had a little Snowlfake Party that we invited many friends to--although not many came--I suppose it's a tricky time of year, illness and continuing family Thanksgiving visiting all factors, but I have hope that in years to come, more folks will join us. It is no matter, as the dear friends who did come spend time with us were enjoyed all the more by us. 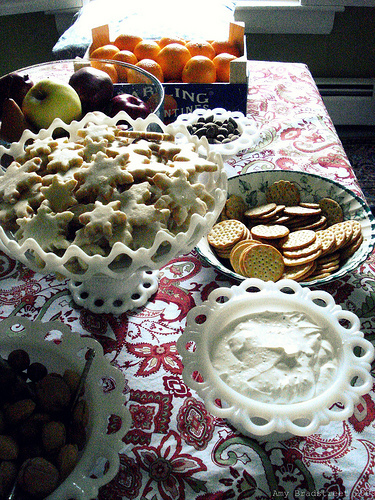 We served up all sorts of homemade goodies--gingerbread, pumpkin and apple pie, cookies, cheese, French bread, chai and cocoa, along with plenty of nuts, Clementines, pears and apples. 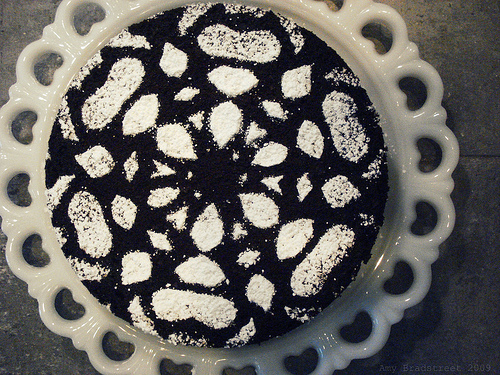 The goal was to keep things simple, festive and fun. We began a bit of our Yule decorating, too, so the house was feeling very warm and festive. 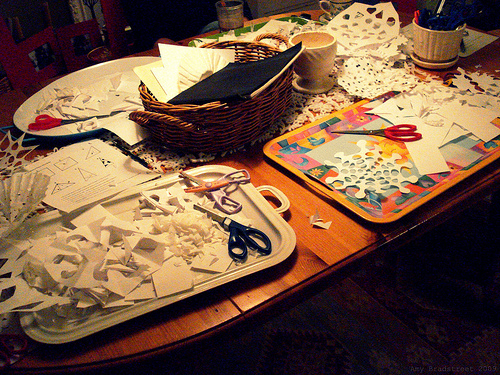 We gathered with friends and family around the table and began cutting. To get really good results, we teach this method of cutting. 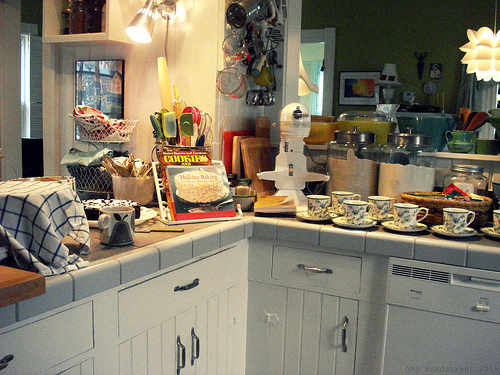 I like to put out trays or cookie sheets as it helps contain some (not all) of the little bits and scraps, making for easy clean-up. We encourage people to use a pencil to lightly initial their snowflakes, adding the year it was made, as well. We have noticed over the years that we can identify the snowflake cutter by the design of the snowflake--it's very like fingerprints, which to me, make these winter symbols all the more precious. 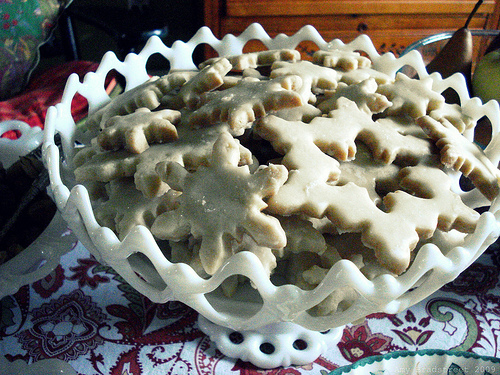 At the end of the evening, everyone packed up their snowflakes and went home, some with little bags of cookies as well. 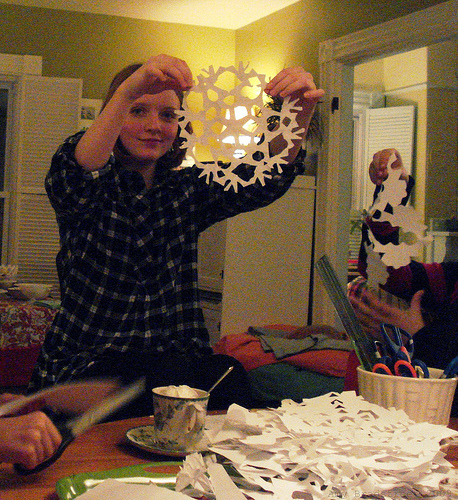 I gather up the snowflakes made by our family, and have for almost ten years now, and hang them in our windows. I can see my children's growth in the patterns and I am mindful of each year past, having melted like so many snowflakes before. Each snowflake is an individual work of art, a pattern of promise and love, worked by little hands, growing stronger, creative and more wise over the years, so in this way, each snowflake is a reminder of the good things to come. So this winter, think of Demeter's tears and her love for her daughter and perhaps snowflakes will have the same meaning for you as they do for us. Get out some paper and start cutting and let the magic happen. Your blog lovely, very informative, inspiring and signed to FOLLOW. We're so sorry we missed this, it looks like it was so much fun! What a beautiful display of food - that is not what I'd call simple! 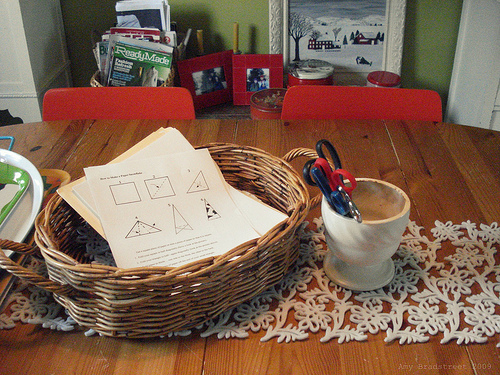 Love the snowflakes you all created, we're going to try that method - thanks for sharing. I do love this idea. Still! I wish we had friends or family to share it with. But the four of us can probably still cut quite a lot'o'snowflakes! 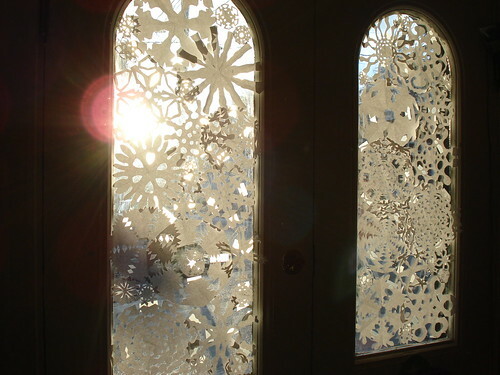 I think our front door with the window is begging to be dressed in snowflakes!